Eliminating external sound or noise that disrupts the flow of your music is easier to do in this era. It is done with the innovation of noise-canceling wireless Bluetooth headphones. Standard headphones don’t have all it takes to keep off external sound from your surroundings. 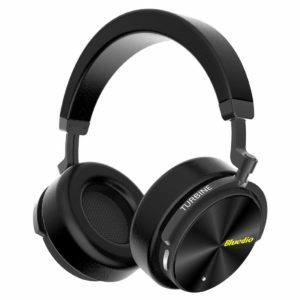 It is the reason you need to choose any of the best noise canceling headphone if you are interested in listening to every bit of your music and the Bluedio T5 Active Noise Cancelling Wireless Bass Bluetooth Headphones is one to consider. But is it really the perfect option for you? Let’s find out in this review. The design and the overall structure of Bluedio T5 will win you over as it comes with a dynamic operating technique and alluring appearance. You don’t have to join the clique of people that love to get to a quiet and comfortable atmosphere before they can enjoy their music. The Headphone uses quality four mics which are all immersed for noise canceling. However, the noise canceling isn’t quite effective as said by the manufacturer and the bass goes low with you having to listen to a tiny music. 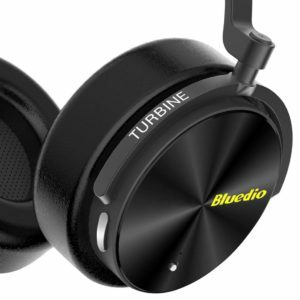 The Bluedio T5 has an upgraded chip, and its operation is to increase the running time of the device by reducing the Bluetooth power consumption. The headphone has a button in which you have to long press to switch on and do the same to switch off but you have to be more patient when it comes to switching it off because it takes few seconds. The headphone is comfortable to use as it comes with big ear cups and good cushions make it comfy and good for long time wearing without any sign of discomfort. There are two buttons on the side. Not close but separate. It is relatively annoying to control the volume. It is doable but there are others with better made. If you are the type that loves to recreate a party experience with the loud sound without missing every word in the music, you have to give Bluedio T5 the nod among other options but take note of the fact that the bass is not very deep and powerful. The Bluedio T5 incorporate titanized 57mm drive units and Bluedio Vector Flow Technology in its design, and that helps to strengthen the bass thereby giving you the platform to enjoy your music but not with a powerful and deep sound. The headphone is ideal for different music such as rock, jazz, classical and pop but on the initiation of the active noise canceling option, the bass will reduce and that will make the sound of the music tiny. The control of the headphone is super easy to do as it starts with pairing it with your mobile phone and once that has been done successfully; you can easily control the music you are listening to from your mobile device. 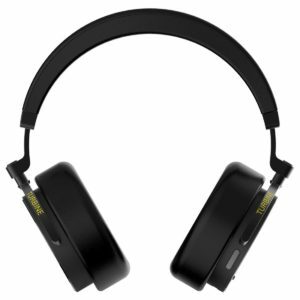 Bear in mind that the headphone is ideal for indoor and outdoor use since it has the noise canceling feature. Therefore, concerning the connectivity, it is compatible with iPhone and Android, but can’t be paired with two mobile devices at a time. To connect the device with your mobile device, you need to pair it through Bluetooth connectivity. Once the pairing process is completed and successful, you can go ahead and play the music on your phone music library while you hear it through the headphone. Just in case you are having difficulty in pairing the device, it is advisable that you retire to the user manual that comes with the package and goes through it all over again for the pairing process. 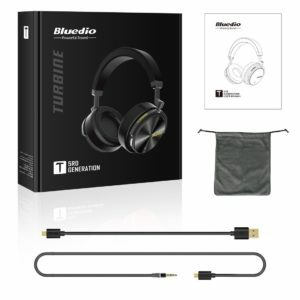 Without much ado about Bluedio T5, it is one of the best in the market for those in search of a dynamic and quality wireless headphone with noise canceling option. Of course for this price range. Apart from the quality sound, features, and design, it can be used for longer duration without any sign of discomfort or pain.